Billy Pizer joined the faculty of the Sanford School of Public Policy at Duke University in the fall of 2011 to help design and lead a university-wide initiative in energy and the environment. 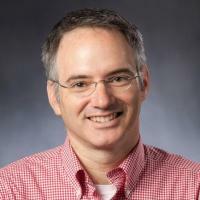 He also was appointed a faculty fellow in the Nicholas Institute for Environmental Policy Solutions, a nonpartisan institute at Duke that focuses on finding solutions to some of the nation's most pressing environmental challenges. From 2008 to 2011, Pizer was deputy assistant secretary for environment and energy in the U.S. Department of the Treasury, where he created and led a new office responsible for the department’s role in the domestic and international environment and energy agenda of the United States. He had served as senior economist for the environment at the White House Council of Economic Advisers from 2001 to 2002. Pizer was a senior fellow and research director at Resources for the Future (RFF), a nonpartisan think tank. His research during 12 years at RFF often related to global climate change and examined how the design of environmental policy affects costs and effectiveness. In 2007 and 2008, he was a member of the Council on Foreign Relations Climate Change Task Force. Pizer's academic experience includes visiting professorships at The Johns Hopkins University (1997-1999) and Stanford University (2000-2001). He has published more than two dozen peer-reviewed articles, as well as numerous other articles, reports and book chapters. Pizer earned his Ph.D. and master’s degrees in economics at Harvard University in 1996 and a bachelor’s degree in physics at the University of North Carolina, Chapel Hill, in 1990. He is a member of the UNC Institute for the Environment board of visitors.